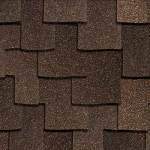 Wood shingles look great, but they require more maintenance than other roofing systems. Since they are made from wood, they tend to be more vulnerable to water damage, mold, and insects. The additional and ongoing maintenance requirements associated with natural wood roofs can lead to an increase in long-term costs. GlennStone Roofing and Gutters has become well-known for wood shake conversions. Don’t trust your shake redeck project with just anyone. There are many factors to consider when converting from an old wood shake roof to a new composition shingled roof. Shake roofs are installed over spaced decking. However, when traditional asphalt shingles are being installed, shake roofs require a solid deck surface. This is accomplished by installing 7/16 OSB over the existing spaced decking. It is extremely important that the new decking be spaced properly to prevent the decking from buckling as it expands and contracts over the four seasons. 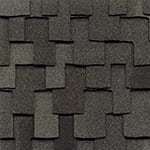 Some high-end shingles require the use of a proprietary starter course. If not properly installed, the roof won’t match around the eaves. 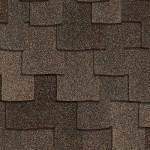 These shingles also often require a unique pattern of installation to achieve the proper visual effect. That’s why it’s so important to hire a roofing company that has extensive experience with wood shake conversions like GlennStone. We’ll help ensure your new roof looks great and won’t leak. Removing wood shakes and shingles from your roof can be a messy process. At GlennStone, we pride ourselves on maintaining a clean job site. 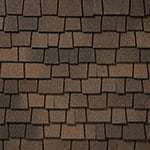 Thick, ruggedly beautiful Owens Corning Woodcrest® shingles have a rustic and textured appearance, recreating the look of wood shakes. Their natural look comes with a durability that’s just as appealing – these shingles are backed by a limited lifetime warranty, a 110 to 130 mph wind resistance limited warranty, and an algae resistance limited warranty. 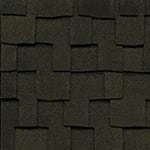 Steadfast Woodmoor® shingles feature an extra-thick, three-dimensional appearance that evokes the look of wood shake. Woodmoor shingles also boast great endurance – they come with a limited lifetime warranty (for as long as you own your home), a 110 to 130 mph wind resistance limited warranty, and an algae resistance limited warranty. We’re proud to say that no other triple-layer asphalt shingle available today matches the thickness of our premium Glenwood® shingles. Industry-leading, ultra-thick triple-layer construction provides maximum dimensionality. You can see the difference for yourself; there’s simply no comparison!